Sony was forced to pull the cinema release of "The Interview," scheduled for Christmas day, after hacker group Guardians of Peace (GOP) threatened to attack any theater that decided to show the film. But the studio will release the controversial North Korean-baiting film via different alternatives. The massive hacking attack against Sony Pictures Entertainment is getting worst day by day. The hack has yet exposed about 200 gigabytes of confidential data belonging to the company from upcoming movie scripts to sensitive employees data, celebrities phone numbers and their travel aliases, and also the high-quality versions of 5 newest films leak, marking it as the most severe hack in the History. Week back, the hacker group GOP, who has claimed responsibility for the damaging Sony cyber-attack, demanded Sony to cancel the release of "The Interview" — the Seth Rogen and James Franco-starring comedy centered around a TV host and his producer assassinating North Korean dictator Kim Jong Un, citing terror threats against movie theatres. At the beginning of the month when GoP group send a threatening email to Sony executives, they didn't even ask the company to cancel the release of The Interview movie. They never released any statement regarding the movie, but later with second hack they actually demand for the same. It seems that hackers got this TIP from media suggestions and put all the blame to North Korea for making this Drama more interesting. Not just GOP, the studio has been threatened by a number of hackers group including a group identifying itself as Anonymous. 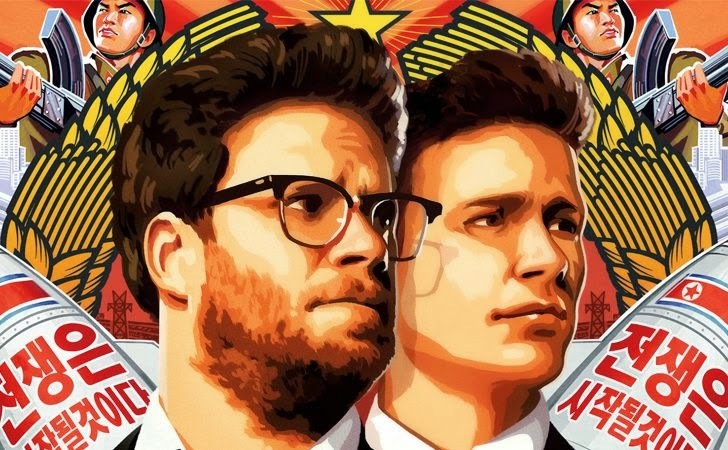 In a statement on Monday to Sony Entertainment CEO Michael Lynton, the hackers group warned the studio to release "The Interview" as originally planned, or else face more damaging hacks. The Anonymous group also denies that the Sony hackers are linked to North Korea, despite the FBI’s revelation Friday that their probe had determined as much. The group criticized Sony for pulling the movie, saying it was a "very cowardly" act of both the CEO and the organization, alleging it showed "panicking at first sight of trouble." In fact, President Barack Obama also expressed disappointment in Sony’s decision to pull the film and announced Friday that the studio had made "a mistake" by withdrawing the movie, but said it was the private company's right to do so. In response, Michael Lynton, the studio’s chief executive, said that it had "not caved" to hackers who harmed the company and that the studio itself intends to release its controversial film and exploring ways to let audiences see the film, possibly Youtube..
"We would still like the public to see this movie, absolutely," Lynton said during an interview. "There are a number of options open to us. And we have considered those, and are considering them." Meanwhile, the popular file-sharing giant BitTorrent has suggested Sony a way to release the controversial film using its new alternative digital-distribution paygate for artists, BitTorrent Bundle, a paid service. The San Francisco-based company believes BitTorrent Bundle is the best way to satisfy both online downloaders and Sony’s desire to release the film. According to BitTorrent, it's a totally "safe and legal way" for Sony to release "The Interview", with up to 20,000 creators and rights holders currently using the publishing platform. Notably, BitTorrent Bundle had released "The Act Of Killing," a 2012 Oscar-nominated documentary account of mass murder in 1960s Indonesia that stirred controversy for criticizing government officials. The feature was downloaded over 3.5 million times. Now, let’s wait and watch what Sony decides about BitTorrent offer, but it is very clear that the studio has never been a fan of torrents and if the company accept the offer from the file-sharing giant then it would be an unlikely deal. But this deal sounds to be a convenient one both for Sony and viewers.